Is your patient intake process an asset to your business? Technology might be the answer. When was the last time one of your patients complimented you on how quick and easy the intake paperwork was to fill out prior to their initial evaluation? My guess is never, right? How many times do patients show up exactly at their appointment time, or 15 minutes late, even though you asked them to show up 20 minutes early to complete their admission paperwork? I would imagine this happens a lot. Having that new patient show up 15 minutes late and then taking another 15 to 20 minutes to fill out their intake or admission paperwork can really put a damper on how much time you have to complete a thorough evaluation, review some home exercises or treatment, complete your documentation, and then get ready for your next patient. In my practice it is something we struggle with on an ongoing basis. Some days it flows well while other days are an all-day log jam. If you ask patients what is their least favorite part of attending any type of medical appointment, I would guess that many would cite the endless amounts of paperwork. It would be great if there was one national repository where all the patient information lived and we could just push a button and instantly get up-to-the-minute, completely accurate data on all our patients, but that is just a pipe dream. Imagine my surprise when I recently found myself in a situation where as a patient, I complimented a medical office on how easy it was to fill out their paperwork. I found myself in need of a magnetic resonance imaging (MRI). When I called to make the appointment, they asked for the basic demographic and insurance information, a few simple questions about things that might prevent me from being able to have an MRI, and then booked my appointment. When I arrived 15 minutes early to fill out my paperwork I was handed a tablet. The program had me confirm my demographic and insurance information, sign Health Insurance Portability and Accountability Act (HIPAA) and informed consent documentation, as well as go through a medical history questionnaire . . . and it took me less than five minutes to complete. I was so impressed with their system that I reached out that same day to the corporate office to ask about what program they were using and how I could get my hands on it. I wanted to have my patients feel the same way about the intake process I just did. Unfortunately for me, I learned that it was a program that the company had developed themselves, so it was not “out of a box” and it was not for sale. However, I was put in touch with a regional business director and the lead person on the team whose vision helped bring their system to fruition. I was invited to meet with her so I could learn more about their system, the team they put together to build it, and how it worked. What I ended up learning was much more important that just how they came to build this system. A few years ago, this company decided to undergo a corporate culture change and implement a Six Sigma philosophy. Essentially, Six Sigma at many organizations simply means a measure of quality that strives for near perfection. Six Sigma is a disciplined, data-driven approach and methodology for eliminating defects (driving toward six standard deviations between the mean and the nearest specification limit) in any process—from manufacturing to transactional and from product to service. The director reached the Green Belt Level of Six Sigma, and the project she worked on to help reach her level was a full paperless system to take a patient from intake, patient interview, imaging, and subsequent radiologist interpretation . . . no small task indeed. They realized that a large amount of time was taken up by producing, scanning, and tracking paperwork on their patients. Not having the right paperwork done at the right time, or in the right place at the right time, could be disastrous. They had many goals for the project, but the ones that resonated most with me were the improvement of the patient experience and the reduction of resources dedicated to the paper chase that is health care right now. This company already had a strong awareness of how long it took a patient to fill out paperwork, how long it took their staff to conduct a patient interview, and how long each “scan” took. They were also keenly aware of how many staff it took to make the process flow smoothly. Similar to physical therapy, a large portion of the cost associated with providing imaging studies involves the staff. They realized that being able to automate the intake process and truly have a paperless flow allowed them to provide the same high level of patient care, but with fewer resources. They realized that although having a great front office person can be a wonderful thing in your facility, the real reason patients are there is to see the technologist and have their imaging performed. The same goes for a physical therapy appointment. The faster you can get the patient to the technologist (or physical therapist), the happier the patient generally ends up being with the service. I can attest to that having gone through their intake process, the patient interview, and the MRI and getting the chance to see firsthand how seamlessly their system worked. What this made me realize is that in my own practice I spend a great deal of time thinking about the patient experience from the treatment perspective, but very little about the perception of how cumbersome and time consuming our paperwork can be. I can honestly say that I have never really sat down and taken a good look at how to make the process simpler. 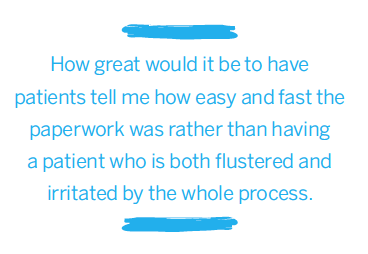 How great would it be to have patients tell me how easy and fast the paperwork was rather than having a patient who is both flustered and irritated by the whole process. As a practice owner, I can also appreciate the potential of reducing costs through automation of systems that now require multiple people to complete. The initial investment in the technology might be steep, but in the long run, the ability to improve patient satisfaction and help improve my bottom line by doing more with less could all be well worth it. I wish I could end this article by telling you that I found the perfect “out of the box” system for physical therapy practices . . . but I cannot. What I can tell you is that I will be starting my own performance improvement project within my organization to improve and simplify my intake process. I am not sure that I will reach the seamless, paperless system that I had the pleasure of experiencing, but I now have a better understanding of how important the ease of intake can be for patient satisfaction and I plan to achieve it. Is it time for you to look at your process too? Michael Vacon, PT, is the managing partner of Blue Hills Sports & Spine Rehabilitation, which is part of the Pinnacle Rehabilitation Network. He is a PPS member and also on the editorial board of Impact magazine. He can be reached at mvacon@bluehillspt.com. Only outcomes data will tell. It is 2016—and we are living in a world where everyone wants to get more for less, even in health care. In fact, our entire country is in the midst of a massive health care reform effort, much of which is focused on delivering higher-quality care at a lower cost—which explains why so many of the recently created health care regulations, programs, and payment models reward value. So, how does this impact physical therapists? We know our services are valuable, but unfortunately, that value is not widely understood or accepted among payers, patients, or other providers. It is our responsibility to change that—to make sure everyone knows how valuable physical therapists really are. This will ensure we do more than survive this new, value-based health care environment; we will thrive. First, we must actually prove the value of our services, ourselves, and our profession. And we must do so objectively—with outcomes data. This rather aggressive timeline means that providers who do not jump on the outcomes-tracking train may end up feeling the pinch of an even more dire payment situation. Think about it: Medicare payment rates are already a common cause for complaint—and private payers tend to follow Medicare’s policy lead. So, in all likelihood, most—if not all—payments will be linked to value within the next few years. 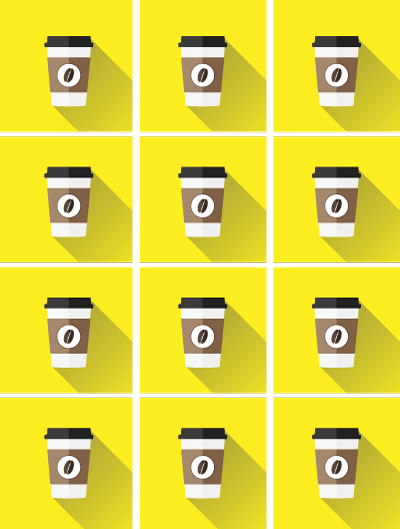 So, what is outcomes tracking, anyway? 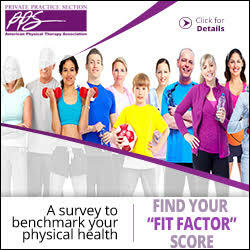 In short, it is a way for health care providers to objectively measure patients’ functional progress and success via outcome measurement tools (OMTs). Typically, patients complete these at the onset of care, at the end of care, and at various points between. Of course, you, as the physical therapist, are able to see each patient’s progress, but the only way to draw meaningful conclusions about your patients’ progress overall—as well as your staff’s performance as a group—is to track those outcomes in an objective and scalable way. 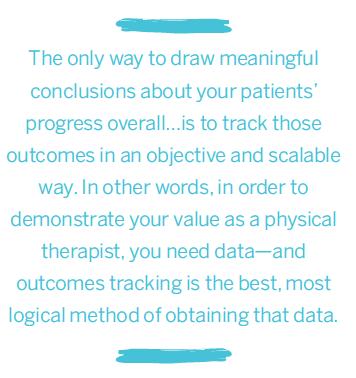 In other words, in order to demonstrate your value as a physical therapist, you need data—and outcomes tracking is the best, most logical method of obtaining that data. Outcomes data is unique, because it is tied to the efficacy of care. When providers can proactively collect and analyze this information themselves, they gain insight that they can use to improve care, streamline operations, identify best practices, and guide business decisions. The benefit of outcomes data does not stop at the individual provider level: When therapists create a large pool of collective data with the intent to improve patient care, the entire industry benefits, because we gain the ability to prove the effectiveness of physical therapy across the board. When we do that, payer networks will have more of an incentive to make physical therapy widely available and affordable to beneficiaries, which means patients will have better access to our cost-effective, noninvasive treatments. In the past, many therapists shied away from collecting outcomes data because they were afraid it would negatively impact their contracts and, as a result, their finances; and that fear had some merit. Luckily, though, times are changing, because more of the data we are collecting today actually reflects the value we provide our patients. As an industry, we have the opportunity to demonstrate our ability to improve our patients’ lives and highlight the downstream cost savings we achieve. Once we collect enough data, we can leverage it to negotiate better payment rates, boost referrals, and even advocate for policies that ensure we are taken into consideration for future payment models. 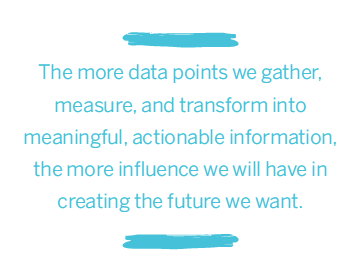 The more data points we gather, measure, and transform into meaningful, actionable information, the more influence we will have in creating the future we want. push to make our findings more widely available outside of individual clinics. Better assess clinical performance through benchmarking. Compare your clinic’s data to various data points for clinics in your region/specialty. Identify areas of need/competitive deficiencies and create correctional plans. Sounds good, right? Now, on to the tactical stuff. We are all clear on why outcomes data is beneficial and important, so let us talk about how to start tracking it. 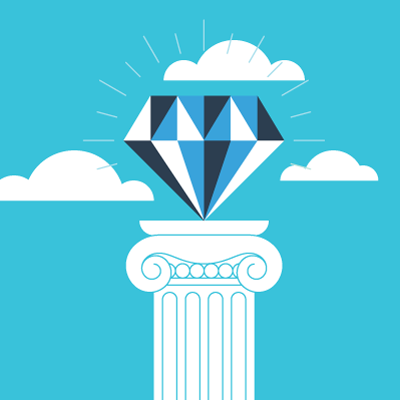 First of all, you can breathe a big sigh of relief, because you’re probably already completing outcomes tools and recording the information as part of your standard documentation, which is great. All that is left, then, is to establish the right processes and implement the right software—because to collect and analyze data in an accurate, timely, and consistent manner, you will need some type of software. Of course, if you prefer to administer paper tests to your patients, you can still print them out, but it is best to record and store the results in a therapy-specific outcomes tracking software. I suggest doing so in a user-friendly, web-based system—preferably one that integrates with your electronic medical records (EMR). That way, you do not have to waste time—or risk any associated errors⁴—with double data entry. Plus, the system will instantly record the data you collect within the appropriate medical record. This type of software makes it much easier to hold yourself and your staff members accountable for consistently collecting outcomes information. This last step is important, because with any data-tracking endeavor, consistency is key. Additionally, the right software contains a hand-picked library of evidence-based, industry-accepted tests that are already familiar to—and respected within—the health care community at large (e.g., QuickDASH, LEFS, Oswestry, Neck Disability Index, and Dizziness Handicap Inventory). You also want those tests to be risk adjusted for complicating factors such as age, weight, litigation, diabetes, cancer, and heart diseases, so you can easily and accurately compare different types of patients. Now, collecting meaningful data will take a little bit of extra work, but think of it less as a burden and more as an opportunity—one that will soon be the norm. Like any worthwhile endeavor, the end result is worth it. Physical therapists have a huge opportunity here to shine in this pay-for-performance era—and to take the driver’s seat for a change. If we execute on this correctly, we will have the power to save our patients money, improve our clinics’ bottom lines, and solidly position ourselves as primary care providers. Now that is a win-win-win. 1. The IHI Triple Aim. Available at www.ihi.org/engage/initiatives/tripleaim/pages/default.aspx. Accessed February 12, 2016. 2. Better, Smarter, Healthier: In historic announcement, HHS sets clear goals and timeline for shifting Medicare reimbursements from volume to value. HHS.gov (2015). Available at www.hhs.gov/about/news/2015/01/26/better-smarter-healthier-in-historic-announcement-hhs-sets-clear-goals-and-timeline-for-shifting-medicare-reimbursements-from-volume-to-value.html. Accessed February 12, 2016. 3. Early Guideline-Based Physical Therapy Results in Health Care Savings for Patients with LBP. Early Guideline-Based Physical Therapy Results in Health Care Savings for Patients With LBP (2015). Available at www.apta.org/ptinmotion/news/2015/4/9/adherentptlbp. Accessed February 12, 2016. 4. Goldberg SI, Niemierko A, Turchin A. Analysis of Data Errors in Clinical Research Databases. AMIA Annual Symposium Proceedings (2008). Available at www.ncbi.nlm.nih.gov/pmc/articles/pmc2656002. Accessed February 12, 2016. Heidi Jannenga, PT, DPT, ATC/L, is the founder and president of WebPT. She can be reached at hjannenga@webpt.com. 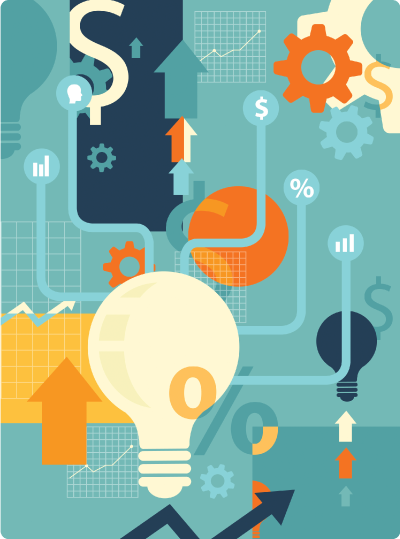 Strategies for fighting physical therapy commoditization. I travel a lot. It is one of the most meaningful parts of my job. I love visiting therapists across the country and learning about the problems they need help solving. When I am on the road, I sleep in hotels, eat food I do not normally eat, and wake up at different times. Despite the many things in flux, there is always one constant: a Starbucks cup of coffee. No matter what state I am in, or what airport, I know that I can put down my $2.10 and get the exact same cup of coffee. It is a commodity; I will pay no more than $2.10 for a grande cream/no sugar, regardless of how many barista awards the person who served it has won. A strong cup of coffee is a strong cup of coffee. After nearly three decades of working in health care, I have observed with great concern a similar commoditization of the physical therapy industry. A commodity is a basic good or service that is interchangeable with other goods or services of the same type. The quality of a given commodity may differ slightly, but it is essentially uniform across producers. Many referring physicians and payers view physical therapy the same way: as an easily repeatable service with little variance in value and, therefore, cost . . . like a cup of Starbucks coffee. Given this inherent uniformity, who would want to spend more than the lowest possible amount for it? Signs of physical therapy commoditization are popping up everywhere: in reduced reimbursement rates, in the overemphasis on therapist productivity (instead of optimizing their time and taking burdensome administrative tasks off of their workload), and in the replacement of local physical therapy groups with national chains for managed care contracting. While physical therapists have seen their incomes fall and their clout with insurers shrink, perhaps the biggest pitfall of physical therapy commoditization is the erosion of the patient/therapist relationship. For many physical therapists, that connection is the most treasured part of their profession. Because insurers and employers pay the lowest possible price for a service that is perceived as a commodity, physical therapists are forced to maximize patient visits. That is a significant loss from the patient’s perspective, too, as getting them to complete their course of care depends largely on trust. But commoditization limits that face-to-face time, carving away at a patient’s comfort level and devaluing what services and counsel the therapist offers. The stakes are high. Unless physical therapists distinguish their services on the quality front, they will be forced to compete in a commoditized market on price alone. This will inevitably lead to suboptimal care and the marginalization of the physical therapist as a key decision maker in overall population health management. Physical Therapy as an Interchangeable Good: How Did it Come to This? Grouping Prospective Treatment into Homogeneous Units. Though it is a relatively new buzzword, the move toward greater commoditization started nearly 30 years ago when Medicare established its own fee schedule for Part A hospital services. Rather than continue paying hospitals based on their costs, Medicare created the diagnosis-related group (DRG) system in the mid-1980s and paid hospitals a flat rate for per DRG admission. In effect, the new model paid hospitals a predetermined, set rate based on the patient’s diagnosis. Over time, the ensuing cost cuts were devastating for small and medium-size hospitals, which had no choice but to consolidate. This consolidation expanded to all points along the continuum of care and gave way to commoditization, which is still going strong. Paying for Effort, Not Outcome. The arrival of DRGs in health care pricing was soon followed in the 1980s by Resource-Based Relative Value Scores (RBRVS), a system that determines how much money outpatient providers should be paid on a fee-for-service basis. One of the fundamental problems with RBRVS is that it determines payment based on the amount of effort expended, with no regard for whether that effort produces a favorable outcome. As a result, complex and costly interventions are often overused instead of effective, lower cost treatments like physical therapy. Today, RBRVS is the basis used by Medicare and by nearly all commercial payers to derive fee schedules. These two pillars of our modern health care system helped lay the groundwork for today’s reimbursement shifts and consolidations. In this health care environment, despite the Affordable Care Act, there is little correlation between price and quality. Payers and referring physicians perceive little differentiation among therapy services and thus cost—not value—becomes the driver in physical therapy utilization. 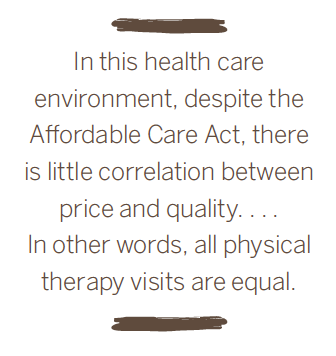 In other words, all physical therapy visits are equal. We know this is not the case. Low back pain is a perfect example, with the cost of treatment creating a major economic impact worldwide. In the United States, patients with musculoskeletal conditions incur total annual medical costs of approximately $77 billion.1 Numerous practice guidelines have been developed for patients with low back pain. Some approaches produce inarguably better outcomes and are more cost effective than others. Physical therapists should be at the center of making treatment recommendations for musculoskeletal conditions, not at the periphery as a second thought after surgery and other specialists. But how effectively are physical therapists communicating the differences in their treatment value? Historically, outpatient rehabilitation providers were not required to track or communicate therapy outcomes. As health reform transforms the industry, this is no longer the case. Payers are increasingly searching for value, and physical therapists are being required to demonstrate clinical effectiveness along with low costs to participate in many insurance plans. Report on Functional Outcomes. Physical therapists have been largely set up to fail in defining their value. The communication system is traditionally set up to track medical problems as dictated by insurers, which often means that there is a code for relieving the effects of low back pain, but not a means for measuring it according to real-world function. The effectiveness of medical care is easier to measure than the effectiveness of physical therapy care. Diagnosis codes and procedure codes are a much more accurate descriptor of the problems treated by physicians, and of the procedures they perform. In our disease- and injury-centric medical system, physical therapists do not have a way to describe and classify their work in returning people to full function. To demonstrate effectiveness, physical therapists must standardize around proven outcomes instruments and performance-based patient tests that demonstrate true functional progress. This type of data has not been embraced by the physical therapy industry because it is not needed in a fee-for-service industry. Report Clinical and Financial Data. Private physical therapy practices typically keep financial and clinical data in separate silos that can only be analyzed through human interaction or complicated processing. These architectures are no longer defensible as the industry responds to federal quality reporting requirements. In order to rapidly analyze metrics across large population groups, develop evidence-based therapy guidelines, and better manage care for chronically ill patients, outpatient rehab providers must integrate clinical and financial information systems. The technology is out there to help therapists understand and communicate the clinical effectiveness and financial efficiency of the treatment they provide. Population health management uses data from across the health care continuum to improve quality of care while gaining efficiencies and reducing cost. Traditionally, health care has been rather disconnected across settings and providers from both an information technology and a process perspective. This makes it challenging to achieve coordinated care, often to the detriment of the patient. Physical therapy can fight commoditization by integrating into tightly integrated networks that utilize outcomes and cost data. Armed with that invaluable data, physical therapists can become an appropriate point of entry in health care, and direct patients toward the most appropriate providers as necessary, such as outpatient clinics or urgent care centers, and be at the center of the continuum of care—not sidelined to the periphery as a commodity. No effective payment system should treat everyone equally. I am the first to argue that low-quality and high-cost providers should be held accountable. In order to differentiate value and reverse the commoditization trend, physical therapists must show their own compelling value in vivid detail with clinical and financial data. Moving forward, we, as an industry, must take back our power. 1. Gaskin DJ, Richard P. Relieving Pain in America: A Blueprint for Transforming Prevention, Care, Education, and Research Appendix C, The Economic Costs of Pain in the United States. www.ncbi.nlm.nih.gov/pmc/articles/PMC3843519. Accessed April 2016. Rick Jung is chief executive officer and chairman of Clinicient. He has spent 25 years working in health care services and has extensive revenue cycle management expertise. He can be reached via Twitter at @RichardGJung. Using automation increases efficiency, referrals, and profits. Fourteen years ago and out of school only 16 months, I said “yes” to taking ownership of a struggling physical therapy clinic. My sense of excitement was only slightly overshadowed by a sense of burden: The clinic was losing $7,000 a month. I had before me the challenge and the opportunity to turn things around and to build the practice of my dreams. My experience as a practice owner is that the growth of a physical therapy practice occurs in phases. The first phase is limitless optimism and lots of learning, next comes nailing down the structure and management phase, and finally the systematizing and automating phase. The automation phase of practice growth can be one of the most important and beneficial to your practice. So what are the benefits of automation? When you automate, you put systems in place that will generate beneficial output with minimal manual input. In other words, automation can produce benefit to your practice by utilizing minimal staff time or effort. Automation systems can help grow your profits, allow for you and your staff to use time more efficiently and productively, and help build the value of your practice while increasing the quality of your service. You can automate many of the activities in your practice that are repeated exactly the same way more than a few times a month. Examples would be inventory management, generating new patients online, charging copays, sending correspondence to patients, prompting patients to write online reviews, education, and prompts to decrease patient cancellation rates. What do you need to automate certain systems in your practice? Depending on what you want to automate, the resources can vary. In most cases you may want software that has autoresponder capabilities, credit card process capabilities, your electronic medical record (EMR) system, and a mind mapping software or a whiteboard to map out clinic processes. Let us explore several useful ways to use automation that when implemented could have an impact on your practice profits and efficient use of staff time. I have estimated that it takes a receptionist working in an average practice two minutes to take and process a patient copay. That includes taking the payment, possibly making change, writing the receipt, and getting a signature on a credit card slip. So, how can we save two minutes on every visit? By using a Customer Relationship Management (CRM) system that includes a credit processing system. Several examples include, but are not limited to, Infusionsoft, Salesforce, Pipedrive, Insightly, Base, and ConnectWise PSA. When your patient first registers for their initial evaluation, you can ask them for payment by using their credit card. With a simple script focusing on the benefits to them by using their credit card (saves time, less paperwork, easier to track), you can obtain card information. This information can then be entered into a credit processing system. From there, many CRM systems can be set up to autocharge with a simple “push of a button” for specific events like cancellations, visit arrivals, or equipment sales made during their treatment visits. Now, two minutes can be cut down to only a few seconds. From day one, our patients are entered into our CRM system. They now can be sent a sequence of emails telling them more about our practice, our staff, our management, our practice specialties, and our practice culture and vision. This email sequence is designed to build a connection between our patients and our practice. It is used to educate them regarding cancellation policies, to encourage them to complete home exercise programs, and to encourage them to refer friends and family to our practice. We use a sequence of seven emails to help improve visit compliance (more profits and better treatment outcomes), to improve compliance in performing their home exercises (better outcomes), and to increase friend and family referrals. Day 1, email no. 1: Share your practice vision and office culture. Day 2, email no. 2: Give a health tip and offer that you are never too busy to help their friends and family as well as them. Day 5, email no. 3: Educate on the healing process while emphasizing the importance of consistent home exercise. Day 9, email no. 4: Give health tip. Day 14, email no. 5: Get feedback from them via a patient satisfaction survey (example: Net Promoter Score). Day 20, email no. 6: Give a health tip and an additional reminder that you are never too busy to help friends and family. Day 30, email no. 7: Ask the patient to write a review on your Google page. Now that you know how you can save time and connect regularly with present patients, how can you generate new patients using the same autoresponder concept? Using your web page, you can insert an opt-in form for visitors to enter their email address. There are ways to prompt a prospective patient to do this. For example, in exchange for their email address, you can share with them a health care–related video, more information about your practice, or a printed report or article related to the benefits of physical rehabilitation. The articles or video could be specific to your practice specialties. Many potential patients will find that information obtained via a special video or article will solidify their decision to make an appointment with your practice. Others may still hesitate. For those that hesitate, you now have their email address and can send them additional information and even ask them to contact you by phone if they would like to discuss possible options for physical therapy treatment. This automated system can generate patients consistently without effort once it is built. Begin automation one step at a time and work with what you are comfortable with. 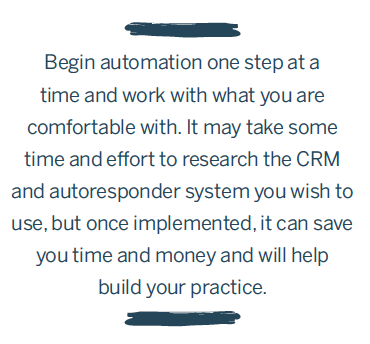 It may take some time and effort to research the CRM and autoresponder system you wish to use, but once implemented, it can save you time and money and will help build your practice. Automation and autoresponder systems can also help you to better establish and maintain relationships with present patients as well as attract new patients to your practice far better than many other marketing mediums such as television, radio, or print ads. Automation is the present and the future. It will be important to every private physical therapy practice to continue to explore all of the ways automation can keep our practices alive and well—and also save us precious time. Steve Young, PT, DPT, is chief happiness officer at Body Solutions in Voorhees, New Jersey. He can be reached at steve@bodysolutionsinc.com. Don’t Hate It. Automate It! How to love your workflow. Before Thomas Edison invented an economical electric light bulb in 1878, a long list of manual tasks had to be completed to produce indoor lighting. First someone had to fit a wick into a burner sleeve. Then they had to trim the wick, fill the lamp with kerosene, attach the burner, and soak the wick for 10 minutes. 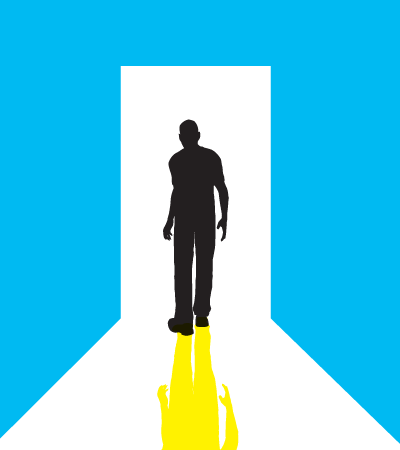 On and on, the manual steps piled up until a flame was finally ignited and light flickered around the room. Drawing on his background as an electrical engineer, Edison helped automate these burdensome steps with cost affordable automation in one simple action: a tap of a switch. Within milliseconds, a space was illuminated! Since then, humans have automated innumerous manually intensive tasks. Henry Ford made land transportation as easy as starting an engine. Martin Cooper redefined communication with the mobile phone. Dr. Maria Telkes used technology to instantaneously heat a home with solar power. Over the past century, nearly all industries have used human collaboration and technology to better orchestrate repeatable patterns of business activity. In market after market, automation has decreased costs, minimized time to payment, and improved quality. Unfortunately, health care has fallen behind. It is surprising that manual administrative tasks are still entrenched in health care. Theoretically, the widespread adoption of electronic health records should make delivering all forms of care significantly easier. Calling up a patient’s current benefits should be a click away and submitting clean claims should require a minuscule amount of a therapist’s time. In any setting, the process of sharing clinical and financial information with payers, providers, and patients should be the least time-consuming part of a therapist’s day. Unfortunately, it is often the most burdensome. Nearly every other industry has modernized arduous manual processes. So why are more private practices not automating the plethora of practice operations that often impede efficiency and care delivery? Why is health care so far behind? I spent the first few decades of my career studying ways to strategically engage humans with technology in order to reduce manual effort. Fortunately, the technology and tools exist. Human workflow services tools have been around for decades, such as BonitaSoft BPM, Ultimus, and IBM BPM. When paired with the right process improvement methodology, automation has the capability to truly modernize society. 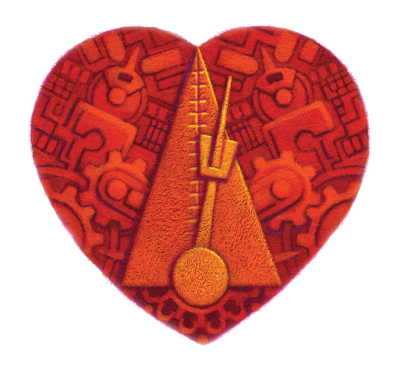 A variety of methodologies are available to meaningfully apply technology automation. These include Six Sigma, Lean Management, Lean Six Sigma, Agile Management, Re-engineering, Total Quality Management, Just-In-Time, Kaizen, Hoshin Planning, Poka-Yoka, Design of Experiments, and Process Excellence. To optimize existing processes, I have experienced repeated success using the Lean Six Sigma approach. Grounded in measurement and statistical rigor, it improves performance by systematically documenting processes, identifying pain points, and reducing waste. Used for decades to streamline processes and reduce defects in manufacturing, the Lean Six Sigma approach is favored by health care leaders for process improvement because it does not force organizations to choose between quality of care and saving money. Instead, its application in health care requires an understanding of how the tools and methodologies translate to the people-intensive processes of patient care. Once applied, the possibilities are endless. However, unlike other industries, a few unique obstacles have impeded the widespread adoption of Lean Six Sigma and process automation technology in health care. These impediments must be removed quickly as an aging U.S. population will soon outgrow the scalable business administration and information-sharing capabilities of most providers—particularly physical therapists. 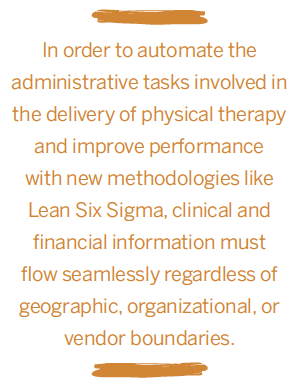 In order to automate the administrative tasks involved in the delivery of physical therapy and improve performance with new methodologies like Lean Six Sigma, clinical and financial information must flow seamlessly regardless of geographic, organizational, or vendor boundaries. Information must be available to the patient, payer, and provider at the right time and at the right place. There is no panacea for modernizing the outpatient rehabilitation with process automation. Ultimately, it will become so unavoidable that the industry will be forced to evolve. Fee for outcomes and bundled payment contracts will require automation to reduce operational costs, improve information exchange, and refocus provider time back to patients. There will be clear winners and losers between those that automate the workflows within their practices and those that do not. It is simply a matter of prioritization. I believe that the pressure to automate must continue to be placed on vendors by providers themselves. After all, customer demand, rather than regulatory action, best feeds entrepreneurial creativity and invention. Your platform “makes the computer do it. Human workflows are the combination of all the microworkflows necessary to accomplish goals. Designing effective human workflows in a software program requires a detailed understanding of the technical requirements of the individual steps in an entire process as well as how the endusers perform those steps. Your clinical and financial platform should manage every aspect of human interaction with business process within your normal workflow. Your platform lets you share information with anyone, at any time. As I described earlier, unless your platform is letting you customize access to clinical and financial data within a Health Insurance Portability and Accountability Act (HIPAA) secure environment, you do not stand a chance at modernizing your processes. System interoperability and information exchange is the foundation of process automation and of emerging bundled payment reimbursement models. Your platform detects and corrects problems faster than you can. Your platform should eliminate problems as far upstream as possible. For example, it should find the root cause of denials long before you do with a robust upfront validation process and identify the solution so claims go out clean. Your platform gets smarter the more you use it. Your platform should build intelligence as you use it. For example, as your platform manages claim denials, it should build in rules to avoid those denials in the future. The more you use your automated processes, the smarter they should become. Process automation should make delivering care significantly easier. With the right team collaboration, process improvement methodology and technology, the administrative tasks that burden physical therapy should disappear. And to weary therapists and practice owners, this means the sweet simplification of what used to take 20 steps into one. 1. Website www.caldwellbutler.com/admin/pdfs/comm/Reg-West.pdf. Accessed January 2016. 2. Website www.isixsigma.com/industries/healthcare/measuring-six-sigma-results-healthcare-industry/. Accessed January 2016. 3. Website www.igi-global.com/dictionary/interoperability/15494. January 2016. 4. Website www.healthit.gov/sites/default/files/briefs/onc_databrief25_interoperabilityv16final_081115.pdf. January 2016. Jeremy Cader is vice president of Product, IT, which helps outpatient rehabilitation therapy businesses automate their workflow with a combination of cloud-based EMR, practice management, and revenue cycle management (RCM) solutions that optimize the entire care cycle from patient to payment. He can be reached at jcader@clinicient.com.